Pacific Porsche is on the move, literally and figuratively! Did you know that Pacific Porsche has been part of the LAcarGUY family since 1999 and in our current location in Torrance since 2002? The short of it is, we have outgrown out current location. Since 2009 we have almost doubled the sales at Pacific Porsche and, with some coming announcements, we simply need more room to serve our clients! As part of our move 8 miles up the road to Hawthorne, just off the 405, we will have 50,000 square feet of space for our showroom and service department. We are targeting the open date for the new location in early November. 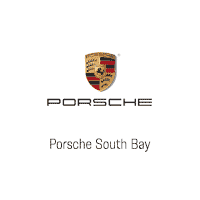 To reflect our new location and the new reach we will have with the store, along with some very exciting announcements, we are rebranding Pacific Porsche to Porsche South Bay and the website address has changed as well to www.porschesouthbay.com as well. We are very excited to show you what we are going to be doing with the store, it will have the latest in Porsche design and materials, in fact, we worked with Porsche North America and Porsche AG (i.e. the mother ship in Germany) in developing the look and feel of the new store. We are going to have much more in the coming weeks about the store, the store design and everything that we are going to be able to offer you. We have been posting photos of the store on our Facebook page and our Instagram account, so, if you want to see the progress, make sure you are following us there. We are very excited about the new store and the new name and very soon we are going to be able to share it all with you, we can’t wait to see what everyone’s reaction is.